Do your students struggle with regrouping? 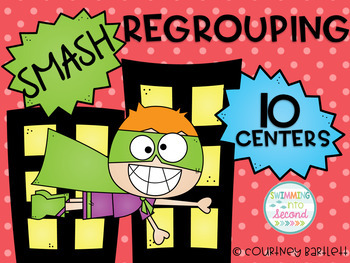 Do you struggle with making regrouping fun? If any of these answers are yes, you need these ten centers. This center pack features addition and subtraction with regrouping with two-digit and three-digit numbers. Each center is easy to teach and use. 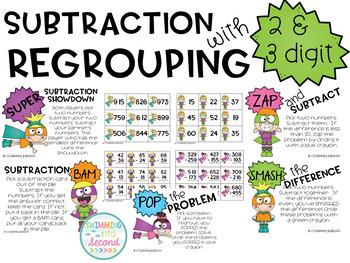 Just teach it once and students can use it in four different ways - with two-digit addition, with three-digit addition, with two-digit subtraction, and with three-digit subtraction. Each ten center also comes in full color and black & white.